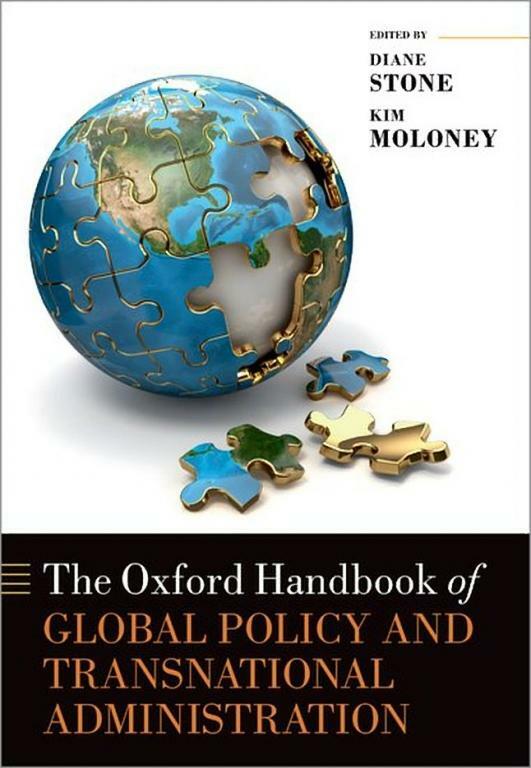 This book is edited by Diane Stone and Kim Moloney and it was published on 17th January, 2019 by the Oxford University Press. This Handbook challenges public policy and public administration scholars to reflect on the growing transnationalization of policy and its administration. This includes a multiplicity of actors operating beyond the state who not only influence global policy but who are also building new spaces of policy deliberation and administration that are transnational, and not simply international coordination. Global administrative law, trans-governmental networks, summitry, and delivery of global public goods by transnational policy communities fuel the policy and administrative features of the global public sphere. Along with these developments, contributors touch upon the limited accountabilities currently present in this system. The implications not only bear upon state agencies and an international civil service but also transfigure the practices of NGOs, management consultancies, think tanks, business associations, and foundations as transnational actors. The Handbook advances and extends traditional concepts from policy and administrative studies -- such as policy entrepreneurship, agenda setting and whistleblowing – as tools for better comprehending public sector activity beyond the state. Diane Stone is Centenary Professor in the Institute for Governance and Policy Analysis at the University of Canberra and Kim Moloney is a Senior Lecturer at Murdoch University (Australia).